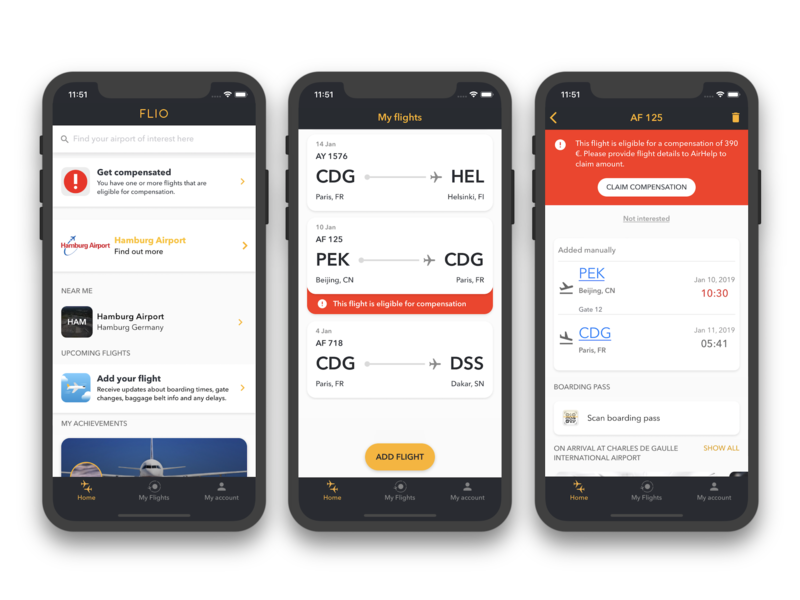 Our quest to become your best flight companion is well on its way as we are now proud to introduce our latest addition to the app: flight compensation. This new feature allows us to automatically inform our users whenever they are eligible to claim compensation for flight delays, overbookings or cancellations. We have taken basic passenger rights and made it easier than ever to claim money back for flight disruptions, in accordance with European regulations. Its as easy as follows: you add your flight in the app and, once there is a disruption, you’ll get a notification saying that you can get compensated. The whole process is fast, intuitive and hassle-free. With this new app upgrade, you can forget about the stressing over disrupted flights and enjoy your travels even more. Stay tuned for more exciting FLIO news and feel free to leave us a comment or question below. Discovered the app and advise it to all travellers. Easy to use, accurate, info always up to date. A must on your phone or tablet. Great service. How easy it is using your app. Awesome! Glad to see this useful addition! FLIO is just buying my whole confidence. Good service . Keep it up.